A second-half stunner from Tom Walsh earned the Caley Jags all three points at Firhill, with Mark Ridgers also being called into action as he saved a penalty by Blair Spittal. 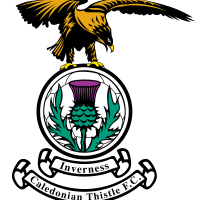 ICTFC now sit in the play-off positions and the win ended a run of seven straight draws in the Championship and extended the unbeaten run to 24 league matches. Before the game started, both sets of players, coaches and fans stood in silence impeccably for a minutes silence for Armistice Day. The first chance of the match fell to Quitongo as he broke clear for Thistle, but his effort was collected by Mark Ridgers. Liam Polworth saw his free-kick saved by Cammy Bell after 25 minutes with the first clear cut chance of the match for Caley Thistle. Tom Walsh then went close for the Caley Jags as his effort from distance was parried away by Bell. Kris Doolan almost opened the scoring just before the break, but his effort was wide of the post. In the second-half, George Oakley was presented with a big chance as he met Liam Polworth’s corner, but his close-range header was over the bar. Chalmers then stepped up to take a free-kick from about 25 yards but his effort was just over the bar too. Ridgers was called into action as Craig Slater unleashed a strike just before the hour-mark but the Caley Thistle number one saved well. Cammy Bell was called into action as Joe Chalmers’ free-kick from the edge of the box had to be palmed away to safety. Jordan White replaced George Oakley as the Caley Jags looked to break the deadlock. Caley Thistle did get the breakthrough that they were after on the 72nd minute mark as Tom Walsh cut inside on the left-hand side and unleashed a shot into the top corner from around 30 yards out. Partick Thistle were presented with a big opportunity to level things up as Charlie Trafford was judged to have handled the ball in the box, with a penalty being awarded to the home side. Blair Spittal stepped up for Thistle, but his effort was kept out by Ridgers, as he got down well, and the rebound was also saved by the Caley Thistle number one as he produced a heroic double save. The Caley Jags saw out the closing stages to get the three points. ICTFC travel to Dumfries next Saturday to take on Queen of the South.